A daily capture of something with some sort of a camera. It may be a DSLR, a P&S or the iPhone. The best camera is the one that's with you. Instead of a new gallery for each year, I'll keep adding to this one until Smugmug comes back with communities. 114 Apr 24/13 Taken during a drive by from the highway so the clarity is not where I'd like it to be. 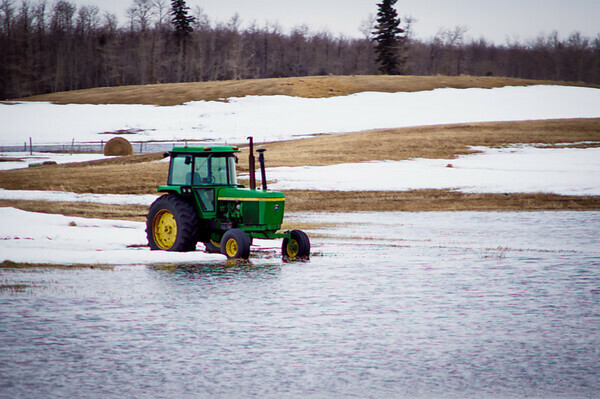 This tractor has been sitting in a field all winter and now the water in the field is starting to take over. I sure hope that water does not get any higher. Nice capture of this scene. omg how sad. Will it get swamped? Nice shot of the green tractor that is the focal point!